While packing, make sure you carefully label (or better yet, don’t box up) your dog’s toys, doggie bed, treats, etc. These items will be crucial to making your dog feel at home at the new place. Your dog hates moving just as much as you do. It’s hard, it’s stressful, and it upsets the norm. Moving to a new home is exciting and filled with possibilities, but there’s a lot about it to dislike. 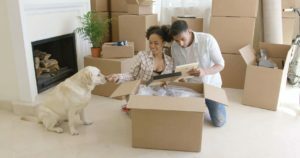 Once you’ve picked a new, dog-friendly house with a fenced-in backyard away from the road, how do you go about making the moving process go smoothly? 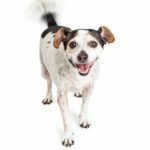 Think about the process of preparing for a move from your dog’s perspective. You’re acting differently. You’re packing up belongings into boxes and moving stuff out of the house. You’re spending more time away from home and when you are home, you’re spending a lot of time cleaning. There may even be a bunch of strange people roaming through the house (showings, realtor meetings, etc.). Your dog isn’t dumb – they know something’s not normal. That’s why it’s important to give them extra attention. 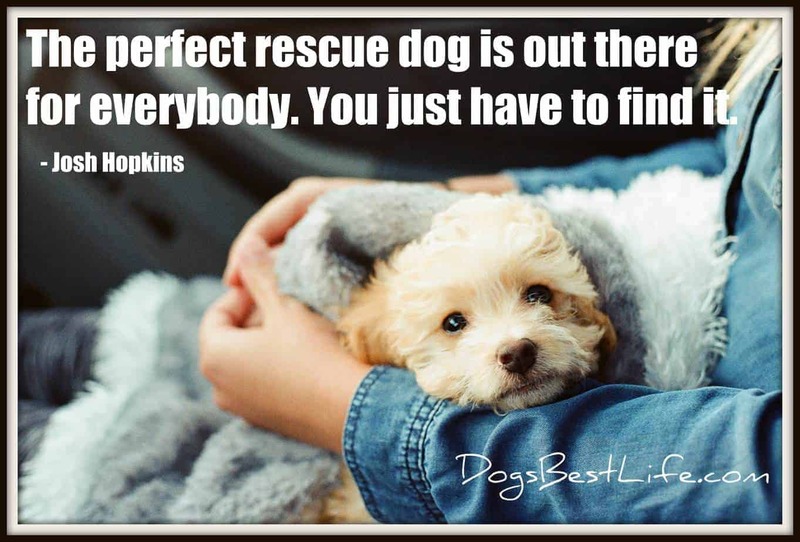 Take them on extra walks and give them more playtime. 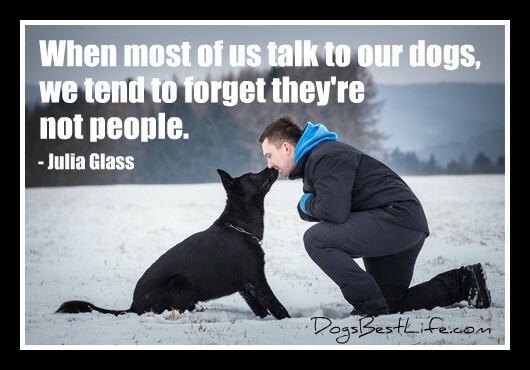 As the transition begins, it’s vital to remind your dog how important they are to you. Bonus tip: While packing, make sure you carefully label (or better yet, don’t box up) their toys, doggie bed, treats, etc. These items will be crucial to making your dog feel at home at the new place. 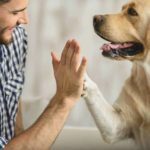 It’s beneficial for both you (or the movers) and your dog to keep them out of the way on moving day. For one, your dog will get in the way if left free to roam. More importantly, your dog will be incredibly stressed out as you (or the movers) traipse through their home, moving stuff out. The best option you have is to either get a friend to watch them for the day or board them. If you absolutely cannot swing this, your next best option is to keep them contained in some way – maybe in a crate in the garage or in a room with the door closed. When it’s finally time for the movers to empty out that final room, take your dog for a walk around the neighborhood. Your job isn’t over when you get to your new home. This new environment can be overwhelming to your dog. It’s best to do everything you can to stick to a routine they are familiar with. Walk and feed them at the same time you did in the old house. Try to give them a sense of something familiar. Make sure they have access to their favorite toys, blanket or pillow. 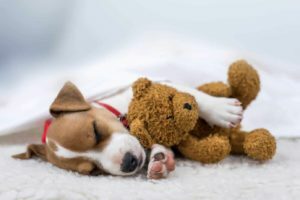 BarkBusters.com suggests spraying your old home with a certain scent weeks prior to the move and then use that same scent in the new home to create a sense of comfort. The American Kennel Club suggests that the first thing you do when you arrive at your new home is take your dog outside to the preferable peeing place. 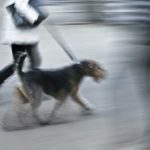 After that, you should introduce your dog to the home slowly and methodically – on a leash, not running wild. Anything about moving that stresses you out likely stresses your dog out ten times more. They don’t understand exactly what’s up, but they know things have changed. You can help make the process easier for them by sticking to routine, giving them extra attention, and keeping them away from all the action on moving day.